One never knows what surprises arrive in the email box. Today was no exception. 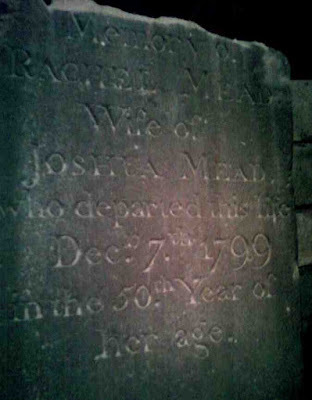 I am a descendant of Rachel Mead, wife of Joshua Mead. 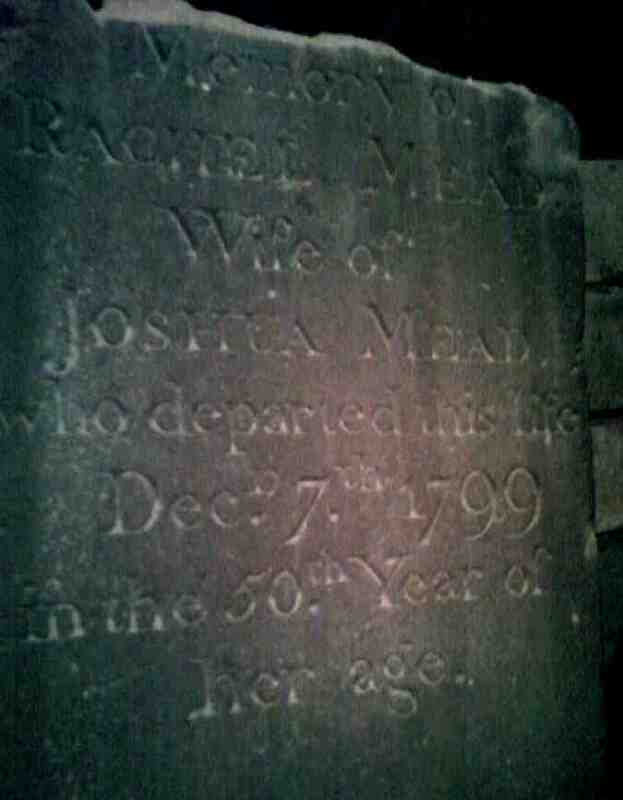 Rachel died Dec 7, 1799. By a long, strange, twisted chain of events, I am in possession of her original headstone. It is damaged, but quite readable. I believe her headstone was replaced at some point. I am going to be selling the house in Port Chester where the headstone is kept. It would be a shame to have it tossed on the curb, and I thought someone in your group might have a better place for it. Please let me know if you're interested - I am happy to hand it to someone who can appreciate it for what it is. It's too heavy for me to move on my own, probably need a hand truck and a few strong arms to get it into a van. In an earlier time this would pose a huge challenge. Why? At this time I am on business travel in the Asia-Pacific -though soon to return to the greener pastures of Greenwich, Connecticut. Technology is a welcomed, wonderful ally to any of us involved in genealogical research for which we are both individually and collectively grateful. 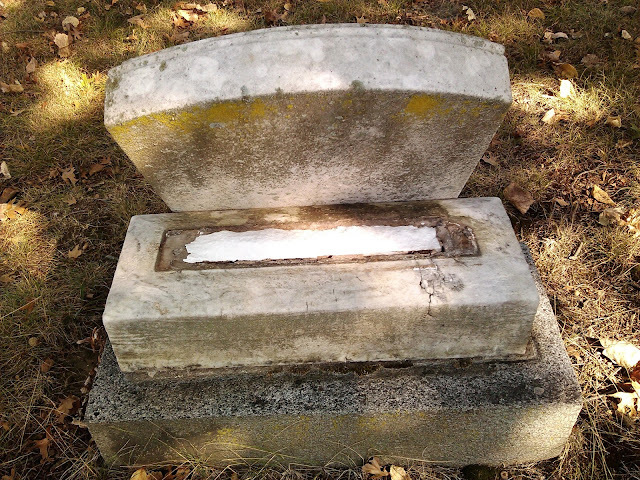 A search of the early 20th century cemetery records by Spencer P. Mead revealed that this Rachel Mead is interred in the New Burial Grounds Association Cemetery. It's next door to the Second Congregational Church on East Putnam Avenue, Greenwich. 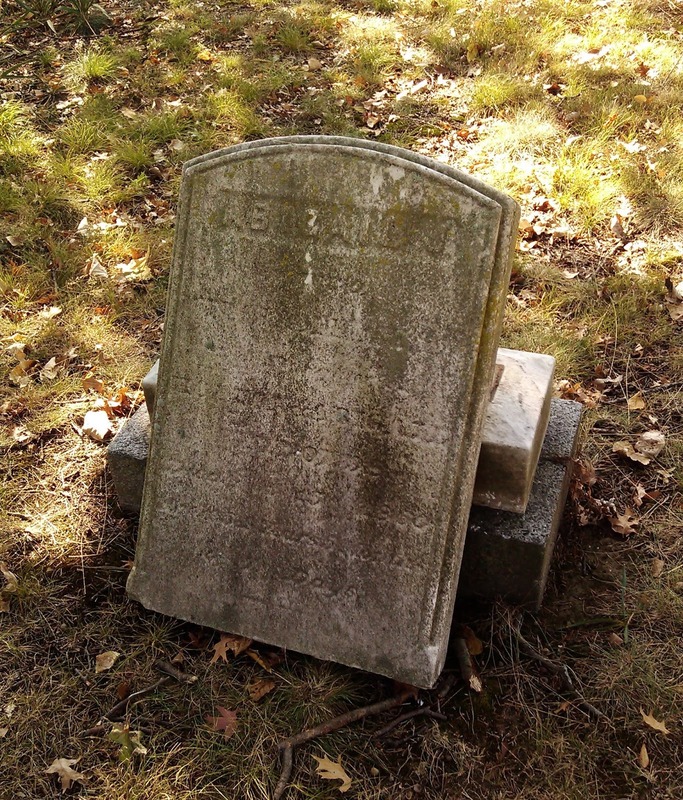 Now, the question beckons: how did Rachel's 1799 stone end up in the cellar of a family descendant's home in Port Chester, New York? My hunch is that this was among the gravestones carted away after a violent wind storm in 1918 blew down the scaffolding surrounding the steeple of the church next door. I wrote about a rare trip up the inside of the steeple in 2014. Read about it here. I also wrote about the cemetery next door. Read about that here and here. We expect to be coordinating with Norm Davis to return the stone to its rightful place. Thanks, Norm!